When it comes to spreading diseases, rodents are not innocent creatures. In fact, they are one of the most dangerous pests since they spread a range of diseases that can cause serious harm to humans, as well as their pets. 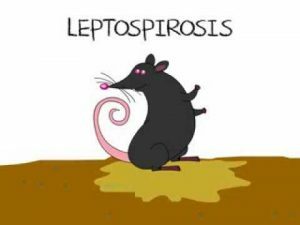 These diseases include LCMV and leptospirosis and are usually spread through bites, scratches or humans coming into contact with a rodent’s urine or feces. dangerous and affects individuals who consume food or water that has been contaminated by urine from infected animals. It also affects individuals who work or participate in recreational sports where contaminated water or soil is present, especially in tropical regions of the world. The symptoms of the disease when left unchecked can be life-threatening. For instance, some symptoms include kidney damage, liver failure, meningitis or even death. To prevent contraction of the leptospirosis, reduce your risk of exposure to contaminated food, water or soil. Also, ensure that your home is rat-free. 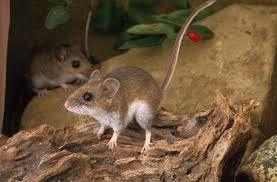 Hantavirus Pulmonary Syndrome, as the name suggests, is transmitted through a virus. This rat-borne disease is common throughout both North and South America and affects individuals who come into direct contact with rodents, their urine or feces. In less common cases, the disease may also occur through bites from rodents. You may even get infected if you breathe in dust contaminated by rodent feces or urine! To avoid contracting this disease, apply rodent pest control measures. Also, note that the virus through which the disease occurs is common in several rodent populations including the deer mouse, white-footed mouse, cotton rat and rice rat. As with most cases of meningitis, LCMV involves the inflammation of spinal and brain membranes. This disease is spread by a viral agent in infected rodent populations, specifically the house mouse (Mus musculus). It is spread through direct contact with the mouse’s urine or droppings, bites or inhalation of contaminated dust. To avoid this dangerous disease, be sure to take steps to eradicate the house mouse if it infests your home. Signs of mice infestation include sightings of the rodents, their droppings or urine. You may also recognize a musky odor in dark areas of your home where they are most likely to reside, such as your attic or basement. Other signs include gnawed furniture, utility wires or plastic. fever occurs through bites and scratches from infected rodent populations or direct contact with contaminated water or food. When it occurs due to the consumption of contaminated food, rat-bite fever is often called Haverhill fever. The symptoms of the disease include fever, vomiting, headaches, muscle pain, joint pain and rash. If left untreated, the disease can lead to death. For this reason, reduce your risk of contracting the disease by eradicating rodents in your home. Also, be sure to visit a doctor if you experience signs of the disease or was recently bitten by a rodent. Salmonellosis occurs worldwide and is spread through both rats and mice. This disease is sometimes called Salmonella which is also the name of the bacteria through which it is spread. Once an individual contracts this disease – usually through eating contaminated food – symptoms of the disease will begin to manifest itself. These symptoms include diarrhea, abdominal cramps, and fever. Depending on your immune system and other factors, you may be able to recover from the disease without treatment. To avoid Salmonellosis, reduce your risk of consuming contaminated food or water. Eradicate rodents in your home and also look for signs of rats or mice infestation throughout the year.